Bethany Yellowtail, Indigenous Clothing Designer and All-Around Badass — Stay Cool, Mom. Bethany Yellowtail is a clothing designer, activist, and cultural force. In 2014, she founded B. Yellowtail, a clothing company based in LA that celebrates indigenous history, customs, and artistic practices. Since then, her work and the work of the B. Yellowtail collective have been getting lots of attention. 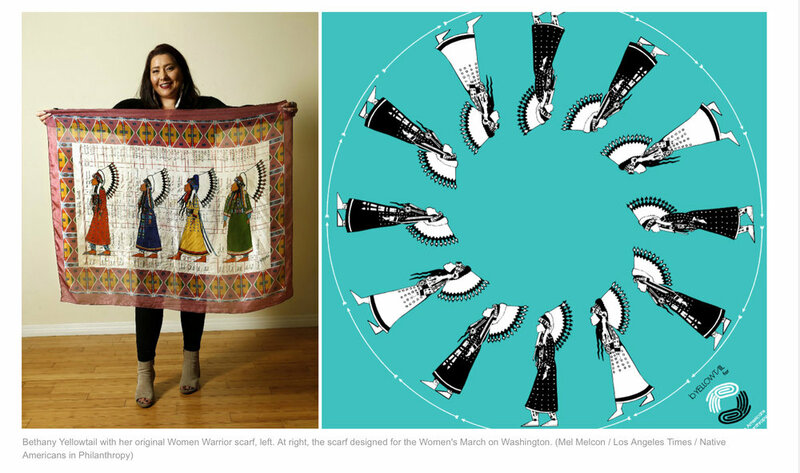 She’s passionate about social justice, particularly for native people and began “dressing the resistance” with clothing designed specifically for The Women’s March and Standing Rock. Yellowtail grew up in Montana on the Crow Reservation, as a member of the Northern Cheyenne tribe. After a stint at BCBG Max Azria, she combined her knowledge of the fashion industry, familiarity with Northern Plains designs, and commitment to sustainability to start her own clothing line. The B. Yellowtail website features not only her beautiful work, but a rich description of each item, detailing the imagery, historical relevance, traditional techniques, etc. How much cooler can you get? Well... lots more, turns out! 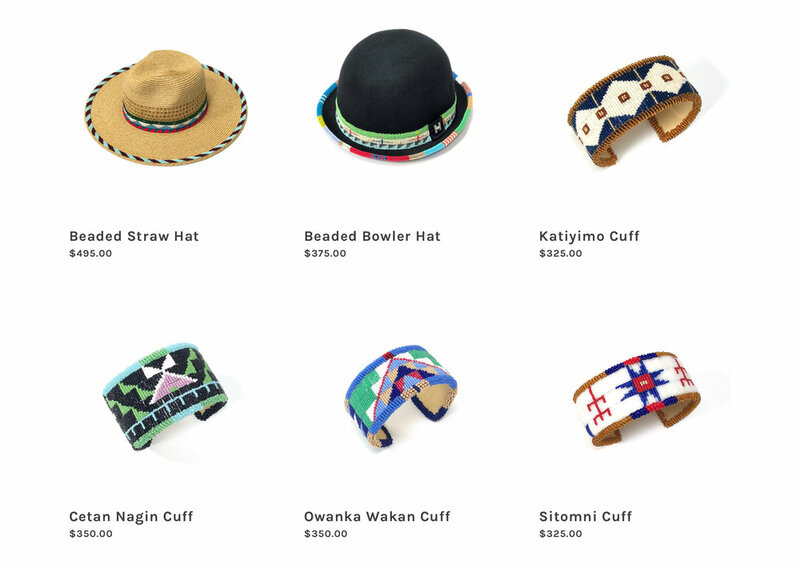 After she launched her own line, Bethany made it her mission to help promote the work of Native artists, who often don’t have a platform for sharing their work with a larger public. The B. Yellowtail Collective grew out of that desire. It’s a growing group of Native artists represented by Bethany’s brand. The BY website features a brief bio on each artist and a selection of his/her work available for purchase. Most recently, B. Yellowtail Collective collaborated on a few cuter-than-cute things for Land of Nod. Most of the line is sold out, but see what’s left here. Pretty darn amazing, right? She’s even got a new web series that documents her involvement with various activist movements. Check it out here.